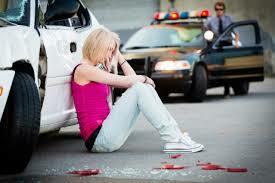 Driving is the #1 killer of teenagers in the U.S. and has been for over 70 years. Why have we as a society allowed this to occur for so long? During the first 10 years of the Afghan-Iraq war, approximately 6,800 U.S. soldiers sadly lost their lives, the news of their deaths were on the front page of newspapers and breaking news on the nightly newscasts. In comparison, during the same 10 year time-frame, 392,603 men, women, and children were killed due to traffic accidents in the U.S. alone……an amount over 57 times the number of the U.S. soldiers killed. Where’s the outrage? It appears our society has apathetically accepted that these traffic deaths are largely unavoidable and just part of the risk of driving. As an expert in the field of driver training (I’ve personally trained over 10,000 students), I can tell you without any reservation that this premise is wrong. There is a solution. There are many facets to the problem and they all have to be understood to solve the problem. During this last summer, I spent some time visiting several of our local DMV’s (California Department of Motor Vehicles) to observe the behind-the-wheel driving exams. I kept hearing from my clients that the driving exams were as short as 4 minutes, claims that I thought were exaggerated. They weren’t. The first driving exam I personally witnessed, from the time the student first backed out of her parking space until she returned and shut off her car was 4 minutes and 30 seconds. I was sure the student had failed but when I asked her how she did, she told me she passed and had only made one mistake. Four minutes and thirty seconds folks……just let that thought settle in for a moment. The most dangerous activity that young teenage girl will probably ever do is drive and she received her driver’s license after a 4 MINUTE AND 30 SECOND DRIVING EXAM! I witnessed well over 25 driving exams at several of the DMV’s in my area (Central California) and I discovered the driving exams generally lasted between 6 to 11 minutes with an average of about 8 ½ minutes. The tests that I witnessed did not include any freeway driving, 3-point turnabouts, lane changing in heavy traffic, left turns at intersections, 4-way stops, and about 20% of the time, the examiner didn’t even have them prove they could reverse in a straight line next to a curb. To say these driving exams were a complete joke would be an understatement of monumental proportions. If you think a driver’s license is an accurate measure of driving competency, think again. Many parents assume their licensed teens are safe because the driver’s license is a measure of “driver competency”. It isn’t. The regulatory requirements are woefully inept to insure “driver safety and competency” but are very cost effective for “driver licensing”. Five years ago I turned on the cameras during an actual California DMV Driving Exam to show how inept the driving exam was, it was about 15 minutes back then. Now, five years later, the DMV has shaved about 6 minutes off of their current driving exam. View the You-Tube video of that driving exam here to verify what I’m saying. P.S. Please check out my new 5 Star Driver Training Video Series to learn how to make your teen a 5 Star Driver. This entry was posted in Uncategorized and tagged Accident Prevention, Distracted driving, Driver Education, Driver Training, Driving School, Instruction, Parent Driving Instructor, Safe Teen Drivers, Teen Drivers License, Teen Driving, Traffic Accidents by admin. Bookmark the permalink. Bravo! Keep up the great work of creating safe drivers. We need more professionals like you to spread the word. We all benefit. The reason that I started Primo Driving Schools in West L.A. is because of the woefully inadequate level of instruction that most driving schools aspire to. You’re exactly right. Most schools teach to the “test” (which is not any indication of safe driving skills) and vie for students at the 6 hour minimum required level of instruction. There is a better way to create safe drivers, whether they are 15 1/2 or 101 years of age. Teach safe driving skills that encompass all driving situations. Coach the student how to think for themselves, predicting what other drivers may do, looking and thinking ahead (and behind), keeping a safety bubble around their vehicle when possible, etc….Encourage students/parents to increase their level of safe driving education. 6 hours is not nearly enough time to teach, practice and master all the skills required to safely navigate our streets, highways, freeways, canyons, parking lots, etc… Looking forward to hearing more from you.